We know the environment you provide for your clients needs to be one of dignity and respect. 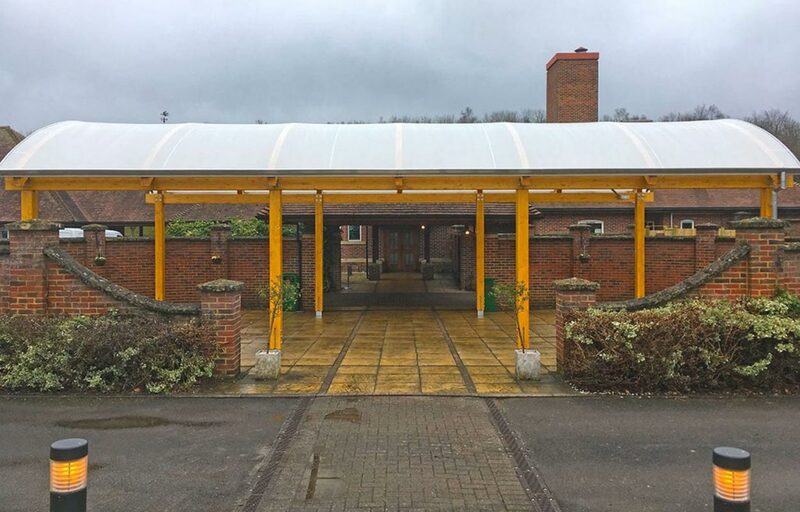 Our walkways and canopies for crematoria are specifically designed with this in mind. 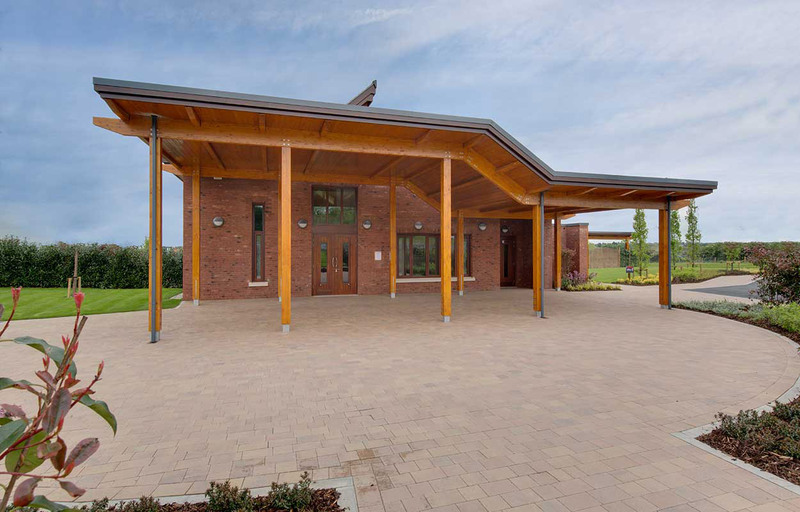 The timber aesthetic of crematorium walkways, Port cocheres and floral tribute canopies enhances the calm and tranquil ambience of the garden of remembrance and the crematoria. 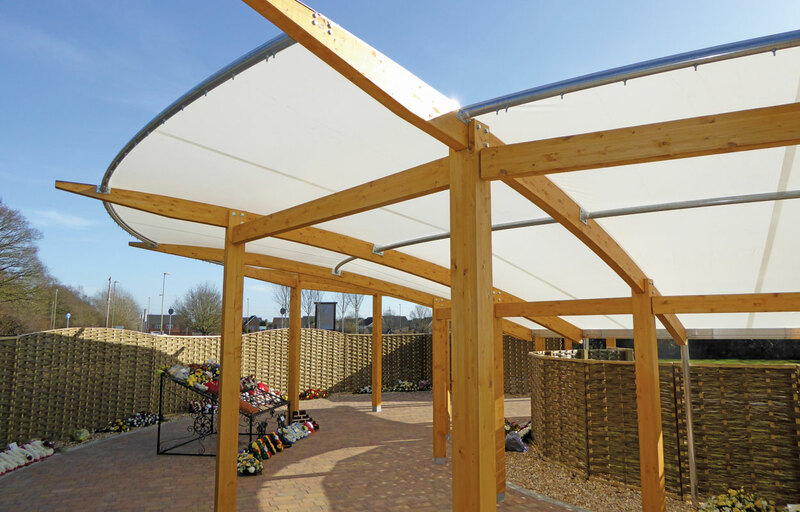 At the same time, canopies provide visitors with weather protection at crematoriums. 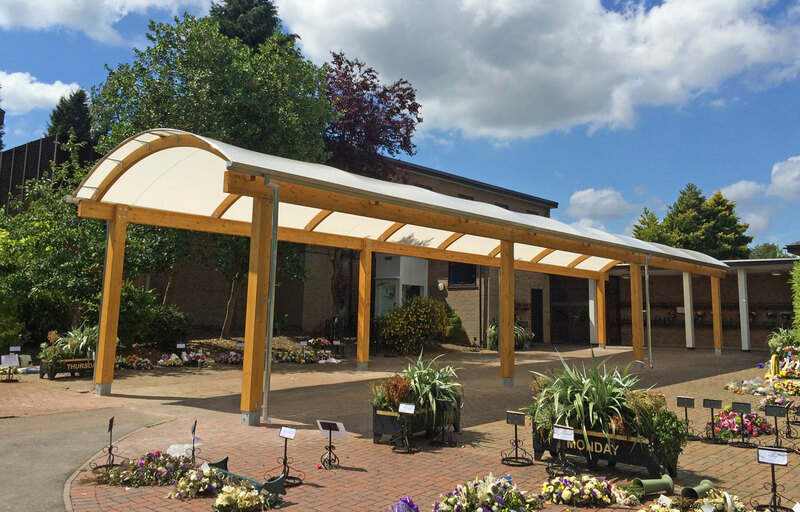 Our floral tribute canopy provides a weather protected space for the laying of flowers and tributes while reflecting the interests and characteristics of those being commemorated. 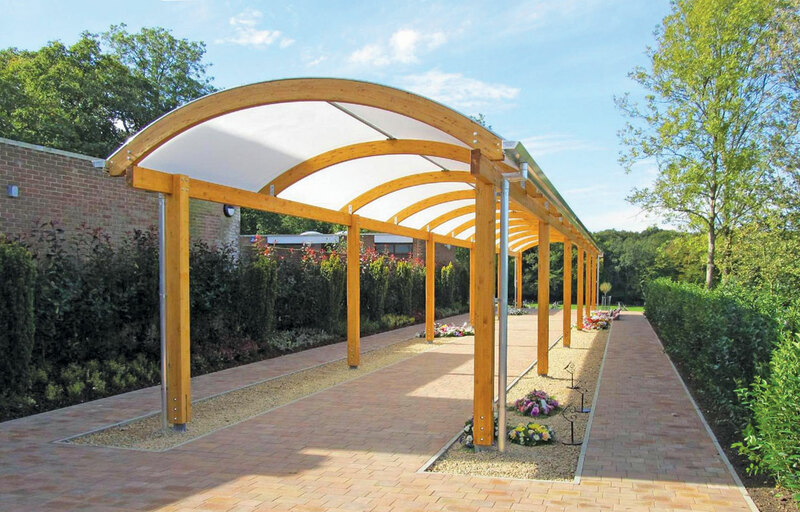 In addition to wet and windy elements, sun shade at crematoriums will keep mourners comfortable at a sensitive time. 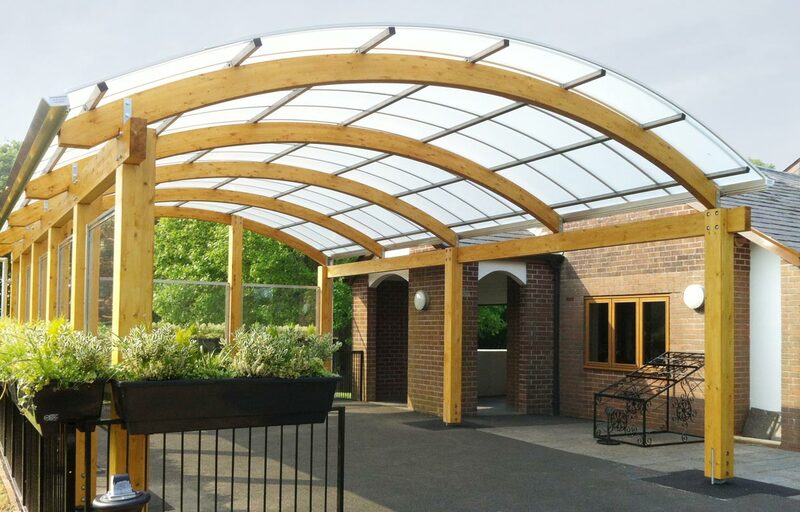 There are different styles of canopies for crematoriums and cemeteries, allowing you to choose one to suit your environment. 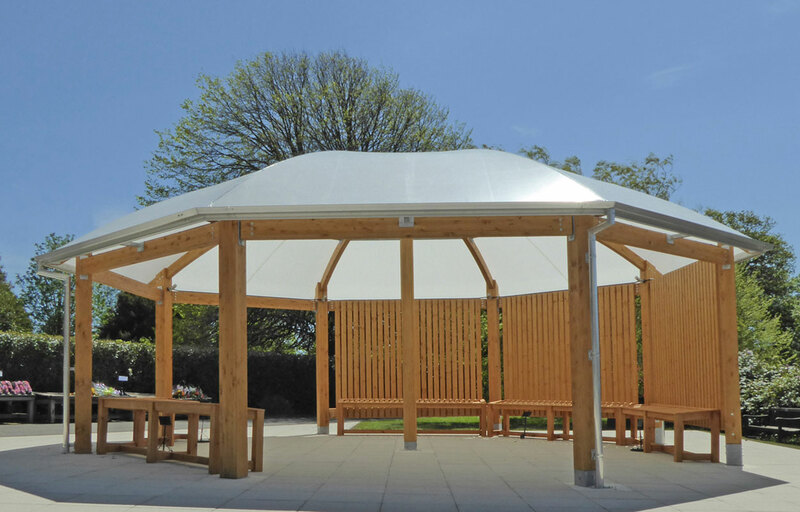 If you would like a secluded canopy, you could select an octagonal shape like the example at Hastings Crematorium. This canopy provides a separate area for grieving families to take a moment following the service and allowing you to welcome the next family. 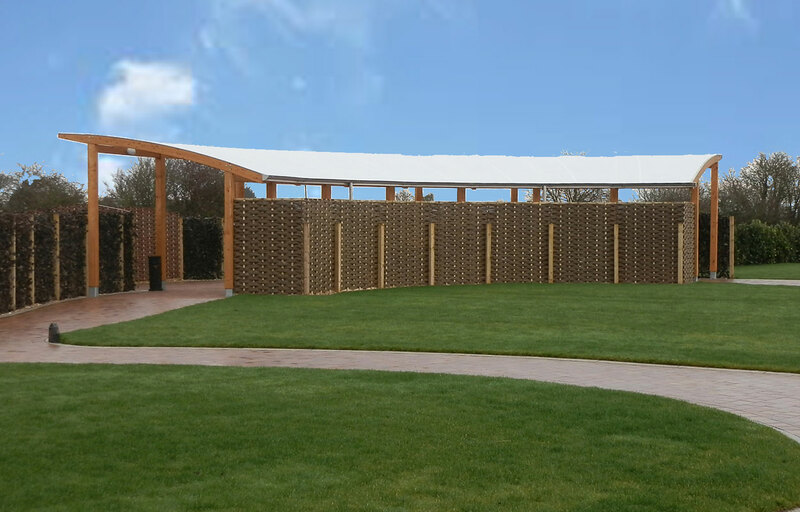 The covered area will also protect both the mourners and the floral arrangements from rain or direct sunlight. To protect your clients from the elements while walking around your grounds, a timber walkway can be designed to cover open pathways. The walkway can lead to a floral tribute allowing a sheltered, comforting environment, such as the walkway at Wessex Vale Crematorium.